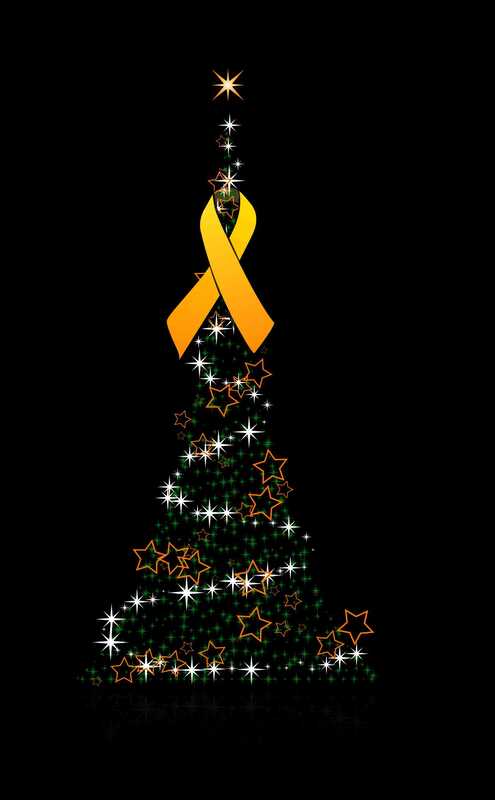 Christmas tree with a yellow ribbon. ARCHIVE. The Catalan writer and broadcaster Àngel Casas has just brought out a collection of anti-Christmas poems, which I haven’t yet read but which I imagine echo the complaints about this annual festival that have been around for decades; namely, that it’s too commercial (I’ve been hearing that one since I was about six); or that it’s bad for us to eat so much turkey and drink so much wine, and so on and so forth. Well, I for one — and I can’t be the only one — still love Christmas, and especially the way it’s celebrated in Catalonia, what with the feeding of a log which is later beaten to make it defecate small toys; the traditional lunchtime fare of escudella i carn d’olla (a meat-heavy dish — pig’s ear and lashings of animal fat included — which can give the most stoic vegetarian, and even a few casual carnivores, a bad case of the willies); the giving and receiving of presents (you would have to have the heartlessness of a dingo not to enjoy such giving and receiving); and the fact that the festivities continue unabated the day after (unlike in the UK, whose Boxing Day never fails to be uneventful). I should add that I celebrate Christmas despite being convinced that Christ (if he existed at all) was a peripatetic preacher as human as my children and that God is nothing but an abstract noun. This year, however, I shall be celebrating Christmas with nine uncomfortable thoughts in the back of my mind: one for each of the Catalan prisoners who will be spending Yuletide behind bars. Among the ones I have had the pleasure of knowing personally are Raül Romeva, the former Catalan minister for foreign affairs, and Oriol Junqueras, the former Catalan vice-president, who are being accused of violent rebellion for having held their posts before and during the independence referendum; Carme Forcadell, the former speaker of the Catalan parliament, accused of the same for the horrendous crime of having allowed a debate on the referendum in the Catalan parliament; and Jordi Sànchez and Jordi Cuixart, respectively the former head of the grass-roots Catalan National Assembly and the current president of the cultural association Òmnium Cultural, both also accused of armed insurgence for having climbed on to a patrol car (having obtained permission from the police) to make a short speech to a gathering of thousands of peaceful protesters before asking them to disperse. As they haven’t yet been convicted of anything, these people and their fellow political prisoners could have been freed months and months ago and been obliged to either hand in their passports or wear monitoring bracelets to ensure they stood trial. But no. There is a Catalan saying: Per Nadal, cada ovella al seu corral. ’At Christmastime, every lamb should be back in its pen’. ’Pen’, in this context, usually means ’home’. Not, of course, for the Catalonia Nine, which is why millions of Catalans will be raising a supportive toast to them this Christmas. At home.